The consult rooms when they're not with a client or the dressing rooms. Healthy Horizons Breastfeeding Center in Burlingame has a couple of places for nursing moms to breast pump, you can use their consult rooms when they're not with a client or the dressing rooms. You can also bring baby and sit in their back patio. 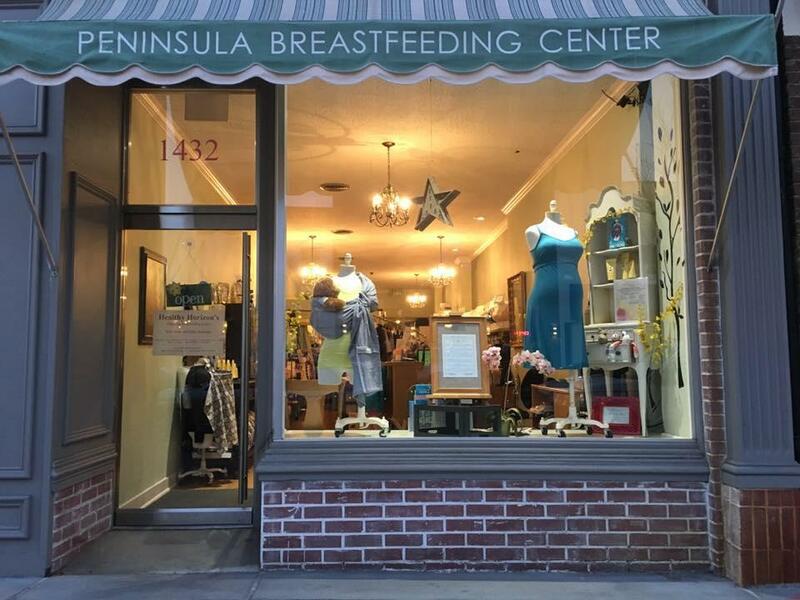 For the community, they have diaper changing stations, a baby scale, free nursing bra fittings, spring water, and a really friendly staff that is knowledgeable about breastfeeding. They do Lactation Consultations, baby/breastfeeding related classes, and breastpump rentals/sales.